Taking the capsule-hotel concept to newer heights, designers t3arc have come up with an eco-friendly and environment-friendly mode to letting out roofs over the heads of travelers and visitors. 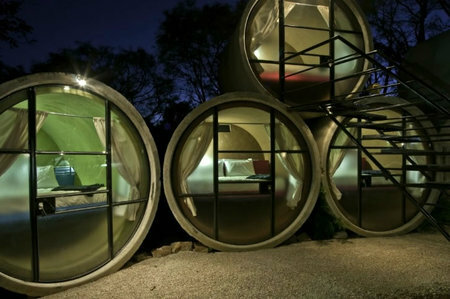 Called the Tubehotel, this capsule hotel boasts beautiful views of the Sierra del Tepozteco outside of Cuernavaca. And what truly left us impressed, was the fact that this hotel is made of recycled pipes! With pipes being used for capsule-rooms, complete with a bed large enough for two and each measuring 2.44 m wide and 3.50 m, these rooms also boast storage space while two common bath-houses have been set up for the guests too. One of the tallest buildings in Sweden was destined to be green right since its conception, and we’ve just got wind of what it’s like. Designed by architect, sculptor and structural engineer Santiago Calatrava, this spiral-shaped building has changed the Swedish skyline forever, and hooks on to green technology, making sure it doesn’t stamp a carbon footprint as large as those most skyscrapers today do. 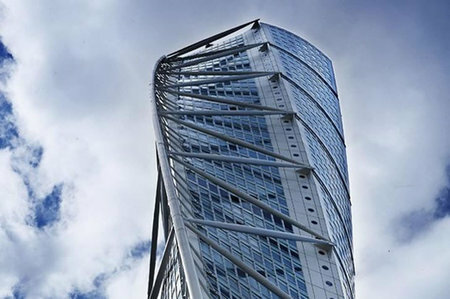 Called the HSB Turning Torso, the building is a residential structure that twists a complete 90 degrees, from top, to bottom. Standing 54 floors high, the building drives its design inspirations from human bodies and nature and is made of concrete, steel, glass and recycled aluminum. 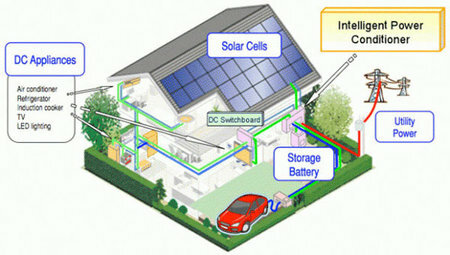 To power this one, energy is sourced from 100% renewable sources, making it a truly green place to live in! Space on dry flat land for building purposes, particularly in urban areas, is slowly diminishing. In such situations, concepts like this floating house in the middle of a lake in Nevada kick in pretty well. 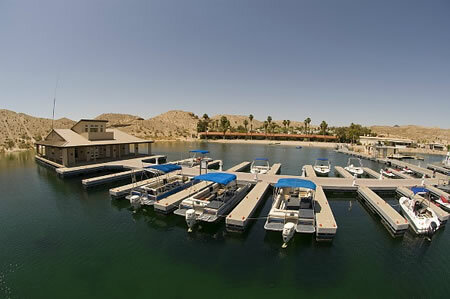 Afloat in the Lake Mohave Marina, this 2,000-sqaure-foot building has grabbed a load of attention from those who stumbled across it. Built from stuff that might have probably ended up in dumping yards, this floating structure is a marvel of recycling, using rice hulls, Styrofoam, and recycled tires. The building will play home to the office of the houseboat rental firm, Forever Resorts, and was designed by Ken Couverley, who took two years to get the design of this one straight. We’ve come across quite a few green stadiums before. Here’s yet another one to jump on to the eco-friendly and environment-conscious bandwagon. Now, the Seattle Seahawks have their very own green-as-ever stadium, using one of the largest solar arrays in the state of Washington. The stadium is hooked on to a 2.5 acre array that will, as anticipated, reduce energy bills by about 21%. 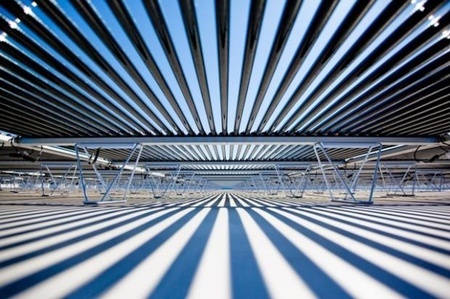 Using cutting-edge tubular solar panels sourced from Solyndra, the array was put into place on the roof of the stadium’s Event Center. Also, the roof of the Event Center was coated in white paint that helps reflect light back up on sunny days and keep the building naturally cool too! We’ve seen airplanes being overhauled and recycled into a bunch of architectural marvels before. Picking up on the lines of these wonders of recycling, designers David Hertz Architects have come up with an astoundingly beautiful home, made from the wings and a few other parts of an old deceased Boeing 747. 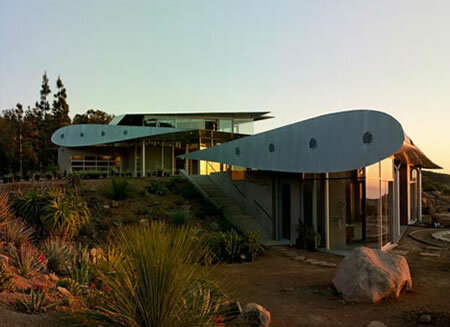 Located on a scenic hilltop location in Malibu, this home uses the wings of the 747 for its roof and the stabilizers and a few other parts to enclose areas to create rooms. The fuselage of the plane was turned into a 50-foot art studio while the guest rooms lie in the first class cabin deck. The plane was initially chopped into the required bits far out in a barren space before being airlifted and moved to the final resting site. The world is getting populated, faster than ever, and free space in urban areas is as rare as a blue moon these days. The City of New York has long since forgotten what open spaces look like and is finding it ever difficult to accommodate the ever-growing population these days. 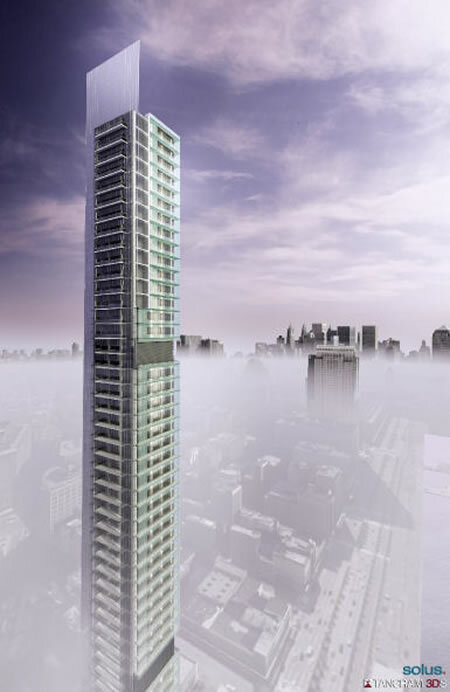 Architecture firm Solus4 has come up with a working solution for an energy-conscious 950ft residential tower, complete with 50 full-floor apartments, each about 3,000 sq ft, connected with a high-speed elevator. For energy generation, the building’s façade uses thin-film photo voltaic panels that soak in the sun’s rays to generate energy. Besides these, the building will also make use of mini wind-turbines that trap the winds for an added punch of renewable energy. 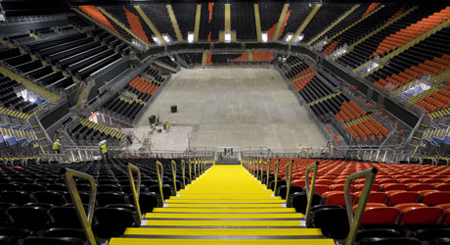 London seems ever-excited with the Olympics to be held about a year from now, and has just finished work on its Basketball Arena at the Olympic Park. And the best part of it all is that this arena, one of the largest temporary venues ever built for the Olympics, will be dismantled and moved elsewhere for further use once the games are finished! Using a 1,000-tonne steel frame, this innovative and comparatively inexpensive to set-up arena will soon find its place and use again, making it a larger than life flag-bearer of the recycle and reuse concept! Sharp has gone a length further into turning housing an environment friendly affair with its adobe in Japan, the Eco House. Packing enough technology to give the Power Haus a slight nibble on its back, the Eco House aims to remain a completely carbon emission-free residence. Sharp has recently begun the evaluation process on its new nesting place complete with a bunch-load of energy saving appliances and AQUOS TVs, making sure the home survives in harmony with the environment, without the residents having to compromise on their creature comforts. Though the pricing of this one is sure to roll up the ladder, this model home could just be the basis for greener homes in future. Apple loves giving its stuff an out-of-the-box kick, be it the revolutionary iPod, the iPhone or the now celebrated iPad. Seems like the firm also knows just how to house its employees too, that too in a green way, in a pretty interesting architectural form. 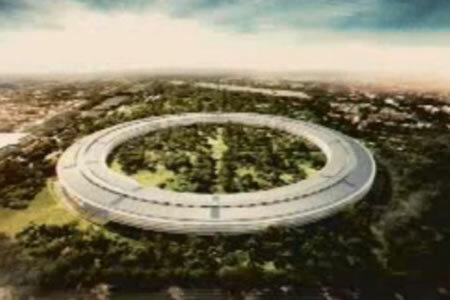 CEO Steve Jobs is busy dreaming up a 3.1 million sq ft commercial project in the city of Cupertino, to be constructed in a donut shape complete with commercial space, with leisure facilities, cafes and R&D spaces for employee use. And to keep the air ridden of pollutants, the site will play home to 6,000 fruit groves. While 20% of the area will house the building structure, the plans for this campus figures landscaping space to touch a sweet 80%. 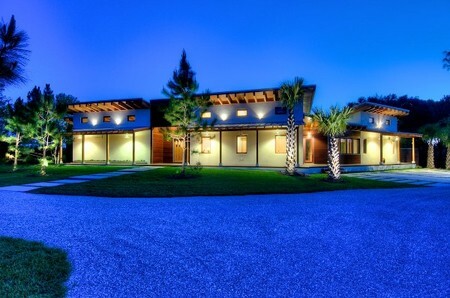 We had a look at Josh Wynne’s astoundingly green Power Haus home in Sarasota a while ago. Green enough for an LEED platinum certification, this home scored about a 118 LEED points, making it one of the greenest homes in the United States. With a Home Energy Rating System dropping below 0, at -22, this home produces a lot more energy than it actually uses. For this, the home essentially required a home control system as cutting-edge as one from Elan Home Systems and a 14.2kW UniSolar Flex-Lite solar array, covering a major part of the home’s roof.